The Chinese company Allwinner Technology has recently released its new product a power efficient quad core processor called A33. It stands out because of the four Cortex-A7 ARM CPUs and the Mali400MP2 GPU as well as because its very affordable price. A single unit costs only $4 which makes it an ideal solution for low budget tablets. I recently receive a reference device with A33 which I will use for the development of Tizen-sunxi as well as experiments with other Linux-based platforms. I have been using this tablet sample for more than week and I am impressed by its performance. It has gorgeous 10.1 inch capacitive touchscreen display with resolution 1280x800, 8GB internal memory, 0.3MP front camera, 2MP camera on the back and 5500mAh. The sample tablet comes out of the box with Android KitKat 4.4 which is running very smoothly. The tablet priced at only $70. Tizen, Debian and other Linux distributions can be also booted on this device. 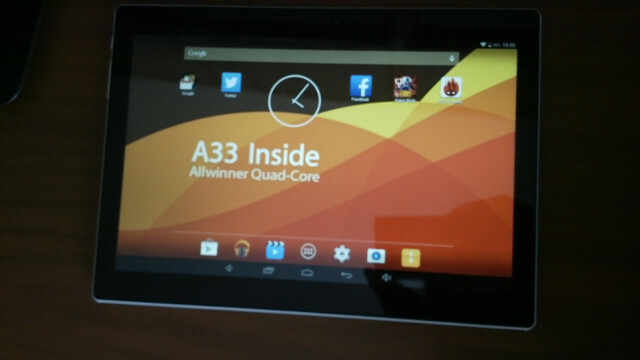 Allwinner was awarded as the leading company shipping processors worldwide for Android tablets for 2013 ARM and A33 gives us all reasons to believe that Allwinner will maintain the first position in 2014.